Recent by-election drubbing showed BJP how disenchanted people on the ground are with the party. Its response to lack of development? Renaming 'Muslim-name' hamlets. Eight villages in Rajasthan that had Muslim names have been rechristened. One would have to go back a little — not too long back — in the past to know why this has happened. 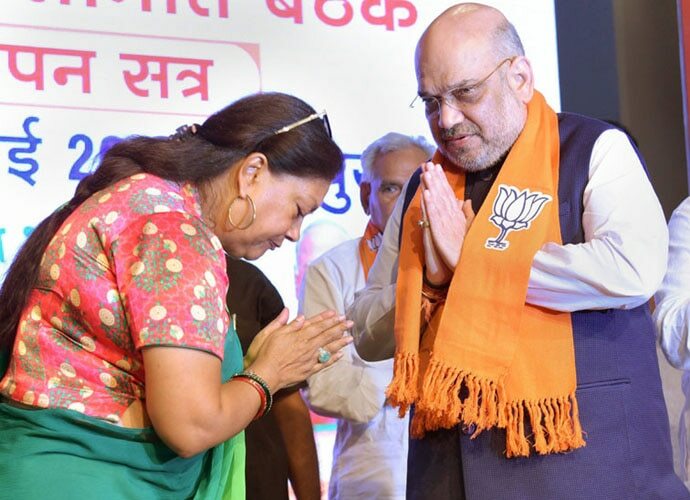 In February this year, the BJP in Rajasthan, under the leadership of chief minister Vasundhara Raje, faced an embarrassing by-election defeat in the Ajmer and Alwar Lok Sabha constituencies and the Mangalgarh Assembly seat. All three seats were wrested from the BJP by the Congress. While winning and losing is part of politics, it is the magnitude of defeat that often decides how bitter the battle ahead will be. 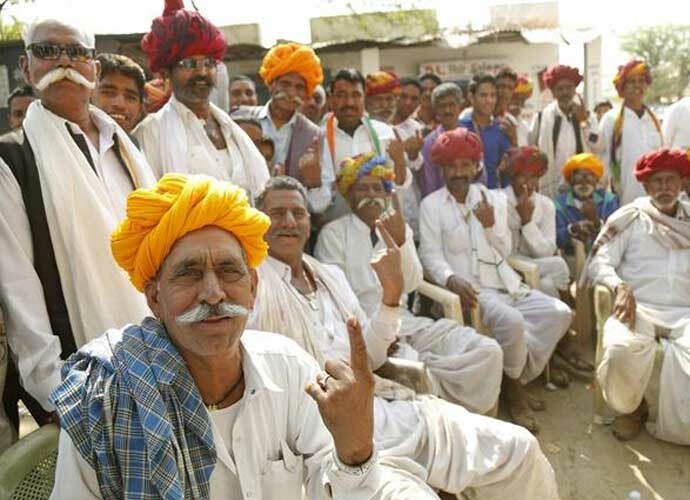 The BJP failed to win even a single one of the 16 Assembly segments in Ajmer and Alwar. In the 2013 Assembly elections, the BJP won 15 of them, the Congress just one. In a rude shock, the party came to find that in some booths, it had not won even a single vote, despite the efficient booth management the BJP is known to have mastered. The by-election showed the BJP just how disenchanted people on the ground are. Party insiders threw open the results of the post-mortem of the drubbing. Fingers were pointed at Raje's leadership. Voices against her that had been simmering now rose by several decibels, accusing the chief minister of being cut off from party workers and not taking them along. She only made her case worse by openly opposing Prime Minister Narendra Modi and party president Amit Shah's choice of Gajendra Singh Shekhawat as the state unit chief. While the party has gone ahead to declare her the chief ministerial candidate for the election likely to take place around November-December, the road for her is not an easy one because it is not just the government but her own career which is at stake. A loss in the election could well spell an end to the 65-year-old chief minister's active political career. When careers of political leaders come to depend on a single election, people must know they are in danger because most find the high of power too hard to give up. It is for this reason that they try all kinds of tricks to occupy the throne. Often, human lives are then counted as collateral damage. The Rajasthan government had sent a proposal to the Union Home Ministry to change the name of 27 villages, apparently bearing Muslim names. The Union Home Ministry has given its nod to change the name of eight villages as of now. This name change exercise of villages is Raje's bid to stay seated in the chief minister's chair. 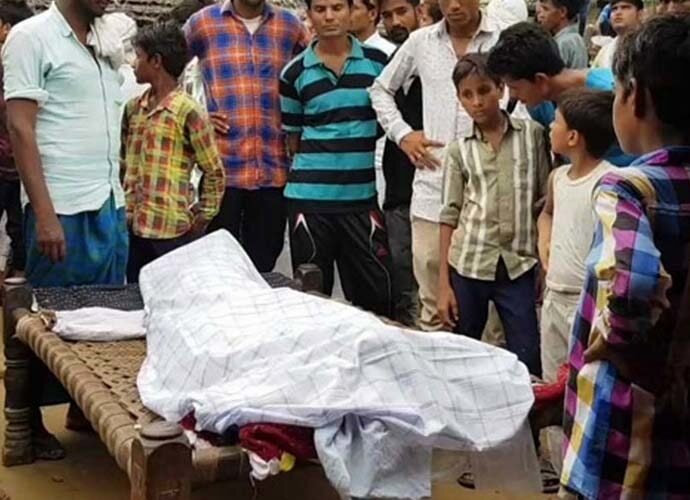 But it is communal politics at its worst in a state where not just people, but police too are turning into mobs, killing in the name of religion giving rise to a new trend of 'custodial lynching'. The recent brutal killing of Rakbar in Alwar is a case in point. There have many more such cases in the state, the litany of which has been repeated over and over again. Even a cursory look at the reasons dished out by the Raje dispensation for this grand 'name change' politics could send one's head spinning. One of the 'reasons' states that a majority of those staying in the villages with 'Muslim names' were Hindus. In a state where the Muslim population is just 9.07 per cent, just what are the chances of villages or towns or cities being Muslim-dominated? Muslim, or Sikh, or Christian names are a reflection of India's composite culture. An assertion that this country is not a theocratic nation, but one that belongs to everyone who is a citizen under the Constitution. The problem is not that Raje is oblivious to this reality. The problem is that she is aware — and yet chooses to play politics with human lives, under the watchful eyes of party president Amit Shah and PM Modi. Another excuse is that renaming these villages would boost matrimonial prospects as the earlier names gave an impression that these villages were inhabited by Muslims. The policy simply falls short of saying that the word 'Muslim' is a pariah. With election months away, many are calling this a political masterstroke, one which could give a huge boost to the sagging fortunes of the Raje government. But political parties often tend to forget, or just don't care to remember, that after elections are over, such moves leave environments that are communally vitiated and that people are left to bear the consequences of it. It is because of this politics, which actually fans hatred, that mobs turn bloodthirsty and come to believe that killing someone for carrying a minority name — if caught with a cow, sometimes not that either — is official policy. The Rajasthan BJP this June suffered a setback when Ghanshyam Tiwari, a Brahmin who has an RSS background, quit the party to contest under the banner of Bharat Vahini Party, formed by his son Akhilesh. Tiwari was considered a leader of the Brahmins who constitute approximately 14-15 per cent of voters in the desert state. They can make a difference in at least 30-35 out of the total 200 Assembly seats. While Rajasthan is known to be a two-party system, for a party facing anti-incumbency, and infighting at the same time, this is a desperate situation. Raje stands accused of running an inefficient government. 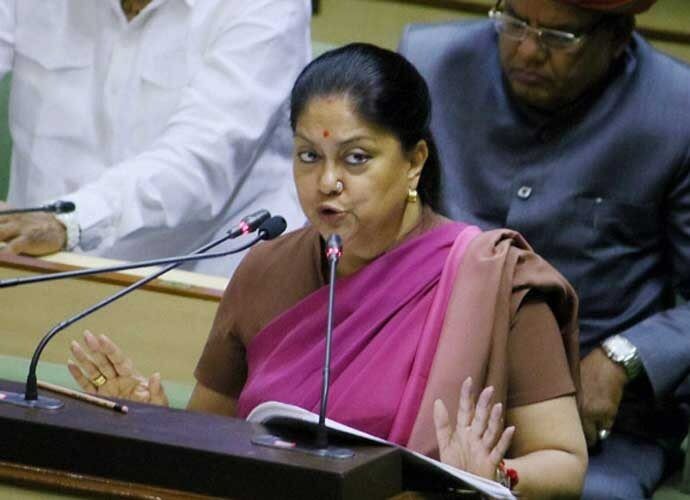 A Comptroller and Auditor General report stated that nearly a dozen government departments in Rajasthan failed to act promptly on the ambitious initiatives announced by chief minister Vasundhara Raje during the 2016-17 budget speech. The report, tabled in the Rajasthan Assembly, said: "Slow pace in follow-up action and laxity in starting the works is indicative of lack of monitoring and pursuance of initiatives announced by the chief minister during budget speech." The CAG investigation found that no expenditure was incurred by at least seven departments on major project/policy initiatives announced by the chief minister. The government keenly involved in this naamkaran exercise drew flak from the Rajasthan High Court over its failure to set up adequate number of POCSO (Protection of Children from Sexual Offences) courts. People with Masters degrees in the state works as house painters. While government vacancies remain so, the private sector hasn't shown much interest in the state's employment subsidy programme. Kasba Bonli town has even reportedly warned that it won't vote for the BJP if its youths don't get jobs. The state had given the BJP 23 of the 25 Lok Sabha seats in the 2014 elections. Government policies take time to make a difference to people's lives. With politicians lacking both vision and intention, people are made to feed on the toxicity of communalism instead. A new ground to justify the renaming exercise has been raking up examples from the past. Names were changed in the past, so the current regime claims a licence to do it. This is as good as parties telling people that India was poor, so it should remain poor, there have been many unemployed, so no one should ask for jobs now, people died in lynchings earlier, so they should now. If the status quo has to remain, why hold elections? This renaming exercise, blatant in its intent to divide, will be remembered as Raje's legacy — whether she wins or loses.